As most of the interesting legislation surrounding marijuana is happening in North America at the moment, a significant proportion of our content relates to weed in the United States and Canada. However, this may change in the near future, because several countries are lining up to jump on board the cannabis bandwagon. While weed is only legal recreationally in Uruguay and Canada, it is legal for medicinal use (with various caveats) in Argentina, Australia, Chile, Colombia, Croatia, Cyprus (cancer patients only), Czech Republic, Denmark and many more. In fact, we counted a total of 32 nations where marijuana is legal in one form or another. In the United Kingdom, weed-derived medications (not the herb itself) are only legal for patients with vomiting and nausea due to chemotherapy, or those with multiple sclerosis or severe epilepsy. It was banned in 1928 and was classified as a Class B drug in 1971. It was briefly downgraded to a Class C drug in 2004, but returned to Class B status in 2009. Medical use of cannabis was legalized in November 2018, and it is hoped that weed will become available to patients with other medical conditions. 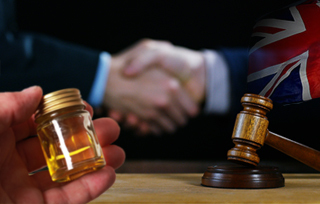 There is a great deal of confusion about CBD oil UK law in 2018, with a lot of people still wrongly believing that it is illegal. In reality, the British government’s stance has softened over the years. Today, it is possible to walk into a High Street store such as Holland and Barrett and purchase CBD oil over the counter without a prescription. I personally ordered CBD capsules from a UK-based company, CBD Brothers, on Amazon and had no delivery problems. Until March 2019 at least, UK is a member of the European Union, and industrial hemp is legal in most EU nations. According to CBD oil law in the UK, cannabidiol is not a controlled substance. The only restriction is that the oil must come from industrial hemp (there are no fewer than 63 strains approved by the EU) and contain less than 0.2% THC. Despite its non-intoxicating effects, you can’t derive CBD oil from marijuana plants because they are outlawed. 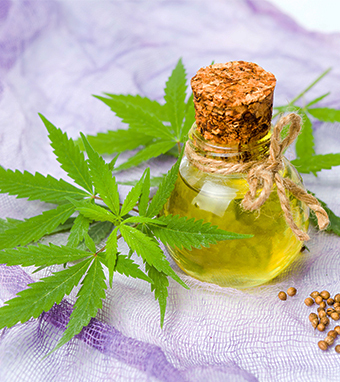 There is another caveat: CBD oil is generally sold as a nutrition supplement, which is why it is so readily available in stores such as Holland and Barrett. In 2016, the MHRA acknowledged that CBD oil potentially had medical value. However, you are not allowed to sell it as a medical tincture unless you have the requisite license, which is hard to obtain. Therefore, CBD oil has the same lack of regulation as the poorly monitored supplement industry. As a result, you could be purchasing sunflower oil instead of CBD! What Percentage of CBD Oil in the UK Should I Look For? The main problem is that CBD oil in the UK is not particularly strong when purchased on the high street. Holland and Barrett stock the Jacob Hooy brand, but its most potent offering is a mere 5%. CBD does not have an official serving size, and it can have a very different impact from one person to the next because it depends on factors such as your weight and the state of your immune system. As cannabidiol works on your endocannabinoid system (ECS) in a bid to return your body to a state of balance, also known as homeostasis, it is likely to be more effective on unhealthy individuals than those who are fit and energetic. At any rate, 15mg is normally billed as a good starting point for a 150-pound person with medium pain. The 5% strength available in stores is too weak. Fortunately, you can find capsules and CBD oil in the UK with up to 25% CBD. For instance, CBD Brothers sell capsules with 62.5mg of CBD a piece. Does CBD Provide a Psychoactive High? This is an important question, because regular marijuana with THC provides you with an enjoyable (if illegal) high. The other issue is that you can be arrested for THC intoxication while driving, and this would be the case even if weed was legal. However, CBD oil (as long as it contains minimal THC) while driving in the UK is as legal as driving after having a cup of coffee, so there is no need to be concerned. As for why you might take CBD, its list of potential benefits is growing by the day. 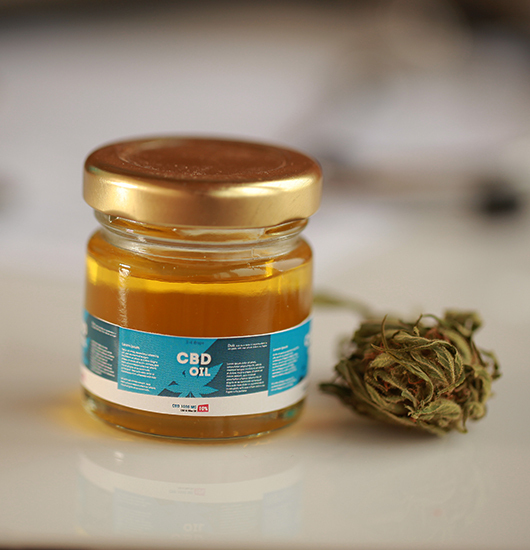 According to Professor Philip McGuire, the Head of Department at King’s College London’s Psychosis Studies, CBD could treat mental health problems. McGuire stated that CBD is possibly useful for patients with psychotic symptoms such as anxiety or paranoia, and may also prove useful for depression. He is busy trying to prove the effectiveness of CBD on mental health issues in clinical trials. Professor Roger G. Pertwee, of the Institute of Medical Sciences at the University of Aberdeen, believes that CBD could also have anti-cancer effects. He said his research team had obtained preclinical evidence that CBD can reduce the vomiting and nausea associated with chemotherapy. If you decide to purchase CBD oil in the UK, you will have to perform the research yourself. We recommend sticking with reputable providers. It is also a fact that CBD oil isn’t cheap. A month’s supply is likely to cost you at least £60 because it is not available through the NHS. When the MHRA suggested that CBD could have therapeutic effects, it opened the door for cannabidiol to enter the mainstream. In 2017, the number of users was 125,000. By the end of October 2018, that number had doubled to 250,000. The cause of CBD in the UK was aided by a World Health Organization (WHO) report which said CBD could potentially be used to treat cancer, depression, anxiety, Alzheimer’s Disease, and Parkinson’s Disease. The decision by the Home Office to allow access to cannabis oil (containing THC) for patients with specific conditions is a positive sign. It took a distressing episode involving a boy with epilepsy to make this significant change. Billy Caldwell has up to 100 seizures a day, and in June 2018, his mother, Charlotte, had cannabis oil that she had brought home from Canada seized at London’s Heathrow Airport. Once Billy was rushed to the hospital, the public outcry resulted in the Home Office granting a 20-day license for cannabis oil. Now, it is available if you have one of a handful of qualifying conditions. We believe that, ultimately, cannabis itself will become legal medicinally in the UK for the treatment of dozens of conditions. For now, citizens of Britain are freely allowed to purchase cannabidiol, thanks to the relaxation of CBD laws in the UK. Addisyn from Unknown just bough! Roberto from Unknown just bough! Genesis from Unknown just bough!